Can what and when you eat determine how long you will live? How about how healthy your life will be? Without a doubt. People have fasted for centuries but only now are the many health benefits fully understood. The ProLon FMD, fasting-mimicking diet, represents the culmination of 25 years of research on aging, nutrition, and disease in cultures across the globe. However, fasting has proven to be challenging for most people. What makes this different? 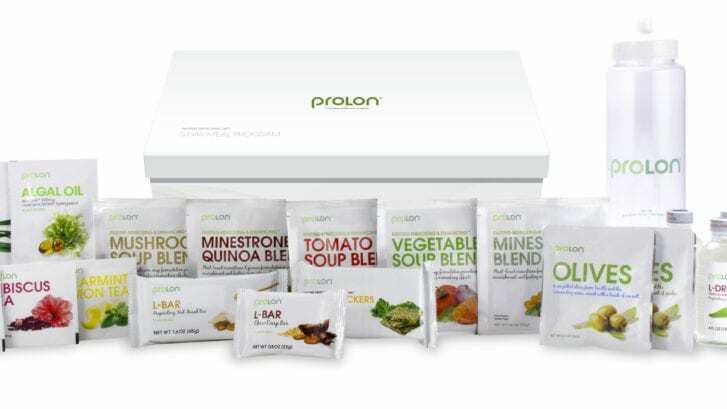 The ProLon is a 5-day plant-based diet plan that properly nourishes you as it tricks the body into believing it is in a fasting state. You see, you don’t have to starve yourself for days on end to reap the benefits of fasting. Your body simply has to think you are. With the ProLon, your body gets all the benefits of the stem cell-based rejuvenation of a 5-day fast and you get to eat real food. Plus, no costly supplements are required. The all-natural pre-packaged soup mixes, bars, and energy drinks contain all of the necessary macro and micronutrients to fortify your fast and keep your hormones balanced. While the idea of fasting can be overwhelming, especially if you haven’t done it before, the ProLon FMD can actually be a lot easier than many other types of diet plans. Since you are fasting for a good chunk of the day, you’ll be eating less food, which eliminates a lot of the stress around having to meal prep. Everything you need for each of the 5 days is clearly labeled and separated by day and packaged in one convenient carton. Want to make a positive change through fasting but not sure that you can do it? We know you can with the ProLon FMD. Get ready to transform your body and mind.